The correspondence below, received over one month ago from a former Oklahoma City resident, is especially timely given recent developments in the Boston Marathon bombing case. On January 30 the US Department of Justice announced that it will pursue the death penalty against Dzhokhar Tsarnaev for the Boston bombing. (See BMB Timeline.) This is the most high-profile death penalty case pursued by the federal government since it sought to execute Timothy McVeigh for his alleged role in the 1995 bombing of the Oklahoma City Murrah Federal Building. I admire your nerve in speaking out about the Sandy Hook “staged” disaster and your comments about Oklahoma City, etc. Ok City is my hometown and I have many relatives living there and in Stillwater. I followed the facts on the bombing of the Murrah Building in Ok. City and knew people directly involved as witnesses or victims in that incident. General Parton clearly proved that the explosive devices that brought down the building were shaped charges of C-4 Plastic and not Ammonium Nitrate. I also interviewed a gentlemen at the nearby Classen High School museum (1 1/2 block from the Murrah Bldg.) who was in the museum the day of the explosions and he was very sure that the first explosion (Am. Nitrate Bomb) could be heard like a loud boom but that the second explosion was a sharp crack bang which shook the museum bldg. and broke several glass windows in the museum. I worked with a group in Ok. City to try to replicate the concrete skeleton of the Murrah Building to prove that an Am. Nitrate bomb could not have destroyed the concrete columns in the building but was not able to muster the funds to do so. The positive proof that the root cause of the explosion was not the Am. Nitrate bomb was the fact that the entire Murrah Building debris was hauled away and buried in nearby El Reno at the U.S. Army Reservation and marked “restricted area”. In my opinion, what we are dealing with is a federal government that has rogue agencies following directives from the highest levels of government in order to accomplish a political goal ([repeal of] 1st Amendment Free Speech and 2nd Amendment right to keep and bear arms [gun control]). I am not a conspiracy nut but neither am I a fool. Isn’t it interesting that in all of the school shootings as well as the Aurora Colorado Theater shooting, the killers were all proven to be on mind altering drugs? Please keep up the good work and tell your bosses at [censored] University that 1,000′s of us out here in fly over country support your stand and applaud your bravery. Respond if you can and tell me how I can help. OKC Bombing: Precursor to 9-11? “While it sounds like an outrageous claim, one is left to inquire whether the Sandy Hook shooting ever took place—at least in the way law enforcement authorities and the nation’s news media have described,” he declared, noting that no surveillance video of photos of bodies had been released by authorities. Has anyone told this professor that the absence of evidence is not evidence, or that the absence of said evidence in this case suggests the event never happened? 26 graves in Sandy Hook, Connecticut say otherwise. That is evidence enough. On Tuesday, WPTV caught up with Tracy, who also doubts the official versions President John F. Kennedy’s assassination, the Oklahoma City bombing, the Sept. 11 terrorists attacks and the mass shooting at a theater in Aurora, Colorado last year. "Elements of that event that are synthetic to some degree"? Like what? Twenty dead children and six dead adults is not a synthetic thing, nor is the fact that they were killed with a weapon capable of gunning down an entire group. Yes, the conspiracy would be massive and for what? To start a showdown over responsible gun safety laws that will be bloody and likely leave no one feeling fully satisfied? Please, give me a small break here. It should bother all of us that this wingnut is responsible for teaching students. It should bother us all more that he's teaching communications. Clearly he has some work to do on his own communicating style. The only 'bottom of things' here is the bottom of the conspiracy theorists' barrel. Why Does America Tend to Freak Out Only When Terrorists Have Brown Skin? In this week\'s special documentary episode of the podcast, we explore the life and legend of Lee Harvey Oswald. Was he a poor, disgruntled loner or an overachieving marine? A presidential assassin or a sheep-dipped patsy? Find out in this week\'s edition of The Corbett Report. Fed Judge Declares Anti-Gay Sermon a "Crime Against Humanity"
Why Don't the Feds Target White, Southern Christians Like They Do Muslims? Washington’s Battle Over Syrian Foreign Policy: Will Hawks Or Doves Prevail? 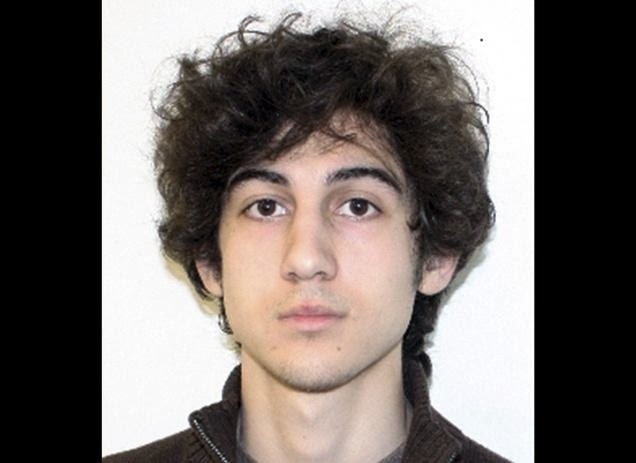 The U.S. Justice Department announced that the United States will seek the death penalty against Dzhokhar Tsarnaev, the 20-year-old accused of detonating two bombs the Boston Marathon last April, killing three people and injuring more than 200 others. The younger Tsarnaev faces thirty counts in the bombing, including use of a weapon of mass destruction resulting in death and the bombing of a public place. Since 1964, the federal government has only executed three people, including Timothy Mc­Veigh who was convicted in the 1995 Oklahoma City bombing. The Sandy Hook School Massacre: School Building is Now Slated for Demolition. Why? How Come It's Not Terrorism When a White Guy from the South Does It? At some point we're going to have to consider Texas a failed state. There should be a limit to just how dumb your representatives can be before it runs afoul of some trigger mechanism, somewhere, after which all the people who voted for that particular moron are stripped from voting again until they satisfactorily re-complete the fourth grade—but one problem with that, I suppose, is that we'd end up with the most unstable, heavily armed group of mustachioed fourth graders to ever grace our poorly funded public schools, and nobody wants to see that. Rep. Steve Stockman is one of those representatives. Put more simply, his reelection should be taken as a sign that certain areas of Texas are still bitter at Somalia's success, and even more bitter that they can't just elect outright crooks like Tom DeLay anymore. Mostly known for being a nutcase one-term Congressman back in the nineties, Stockman made a brief name for himself with Waco conspiracy theories, gun fetishism, gun fetishism about Waco conspiracy theories, and a relationship with the NRA and anti-government militias that even for the 1990's was fairly goddamn nuts. A Republican member of Congress from Texas has suggested that the Clinton Administration staged the 1993 raid on the Branch Davidian compound near Waco, Tex., to convince Congress that it should ban assault weapons. "Waco was supposed to be a way for the Bureau of Alcohol, Tobacco and Firearms (BATF) and the Clinton Administration to prove the need for a ban on so-called 'assault weapons,' " the Representative, Steve Stockman, who is a strong opponent of gun control, wrote in the June issue of Guns & Ammo magazine. Stockman and his staff denied that they had delayed passing the note--which seemed to convey information about the Oklahoma blast--to the FBI. But they faced troublesome questions about why Stockman's staff also gave the note to the National Rifle Assn. and why Stockman in March wrote to the Justice Department objecting to what he said was an impending federal raid on "citizen militia" groups, apparently akin to the kinds of anti-government groups that seem to figure in the background of at least one suspect in the Oklahoma bombing. Before and after that short and entirely unhinged shift in Congress, Stockman hasn't had a political career so much as an ambitious, decades-long string of political failurespunctuated by a few lucky breaks and more than a little friendly wingnut welfare (with an emphasis on molding young conservative minds via things like the Campus Leadership Program, and no, I do not know why that creeps me out as much as it does.) Still, for some reason a passel of ultraconservatives in Texas felt that it was finally time to give the obvious crazy person another shot in the big boy office, and Stockman is quickly making those Texans proud by being, well, as big a goddamn crackpot as he can manage without being hauled off for professional supervision. He was only one of a handful of House Republicans to vote against John Boehner, boldly managing a "present" vote as the most spectacularly incompetent congressional coup of all time collapsed around its supposed planners. In the wake of the Sandy Hook Elementary School murders, his response was to introduce legislation repealing the gun free zones around schools, and for the same reason as the similar NRA blustering—because what we needed, according to both, was to have manymore people wandering around school zones with guns, and that would probably work out just fine. He was abruptly cut off in a Fox News interview after comparing Barack Obama to Saddam Hussein, thus managing to rank as one of the few crackpot Republicans too nuts even for Fox News to stomach. When Obama introduced a set of executive actions that included things like "finally appoint a permanent head of the ATF, even if that makes Republicans sad" and "government scientists should be allowed to research gun violence", Steve Stockman threatened in an exceptionally frothing statement to impeach Obama, if necessary, in order to stop such obviously scandalous things. This may have been the first, biggest sign that Steve Stockman is in fact a bona fide moron, but he quickly surpassed even that. As it became more unwilling to compromise over even minor gun controls, the NRA is now on the bad side of police. For years, the National Rifle Association cultivated a reputation as an unbeatable political powerhouse—a legacy that was challenged on Thursday with the introduction of major new gun control legislation in the U.S. Senate banning more than 100 military-style guns. But the NRA’s tough reputation unwinds if one delves into the history behind its harshest rhetoric—which began in the 1970s and escalated as former allies, notably America’s police, rejected its increasingly militant demands. What today’s NRA would like to forget is how its unbending extremism led to a losing streak in Congress two decades ago, a period whose gun politics echo today but gun controls nevertheless passed. Perhaps the best way to understand how the NRA is not the all-powerful lobby it seeks to portray itself as is to look at how the organization went from being a "best friend" of the nation’s police to a political enemy of law enforcement, from federal agents at the top of the ladder to local police chiefs and police unions below. As it became more outspoken and unwilling to compromise over insignificant gun controls, it became the group it remains today, vainly claiming to be the last line against impending government tryanny. “Once you go down that road, how do you walk that rhetoric back?” said Robert Spitzer, a gun rights historian and SUNY-Cortland’s political science department chairman. In the heat of today’s political fights, where excessive emotion, exaggerated threats and hyperbole are routine, it’s easily forgotten that the NRA once stood with government. For much of its 143-year history, the NRA’s survival depended on a cozy relationship with the government. It relied on state subsidies at its founding and then federal subsidies for marksmanship contests for generations. The U.S. military provided free guns or sold them at cost to NRA members for decades. Thousands of soldiers helped run annual shooting contests. Local police departments turned to the NRA for training. In the late 1960s, that relationship began to change—and so did the NRA. Democrats in Congress threatened to end a $3 million shooting competition subsidy, asking why it was needed at the height of the Vietnam War. In 1968, Congress increased the regulation of guns sales and dealers in response to that decade’s urban riots and the assassinations of Rev. Martin Luther King, Jr. and Sen. Robert Kennedy. By 1977, these perceived slights allowed libertarian hardliners in the NRA to wrest control, ousting old-school sportsmen and claiming that America’s gun owners needed aggressive new defenders. Today, many people forget how the NRA started calling agents at the Bureau of Alcohol, Tobacco and Firearms, who were charged with enforcing federal gun laws, “Nazis” in the early 1970s and again after the 1995 bombing of the Oklahoma City federal building by NRA member Timothy McVeigh. They forget that when District of Columbia proposed a ban on handguns, an NRA member on its city council said the ban would help revive the Klu Klux Klan in nearby Maryland and Virginia. They forget that the NRA opposed banning bullets that could pierce police vests, opposed banning guns with plastic parts that were not seen by airport x-ray scanners, and launched vicious PR campaigns aimed not just at members of Congress who supported gun controls but likeminded city police chiefs. *No significant new evidence has emerged which the [Warren] Commission did not consider. *Critics usually overvalue particular items and ignore others. *Conspiracy on the large scale often suggested would be impossible to conceal in the United States. *Critics have often been enticed by a form of intellectual pride: they light on some theory and fall in love with it. *Oswald would not have been any sensible person’s choice for a co-conspirator. *Such vague accusations as that “more than ten people have died mysteriously” [during the Warren Commission’s inquiry] can always be explained in some natural way e.g. : the individuals concerned have for the most part died of natural causes.